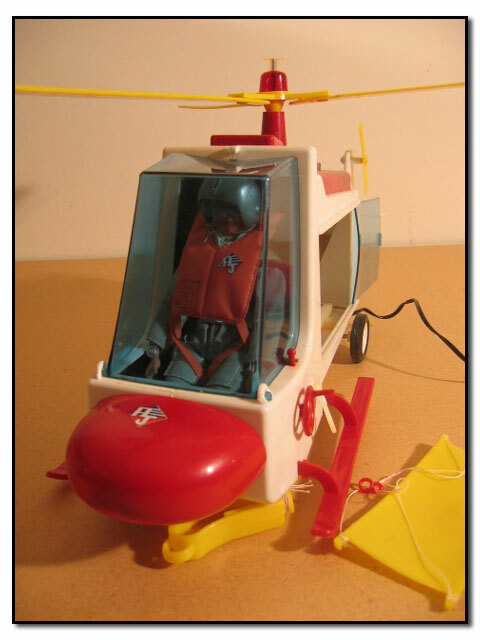 The deluxe AJ Adventure toy, the Rescue Copter is most impressive. lights flash. 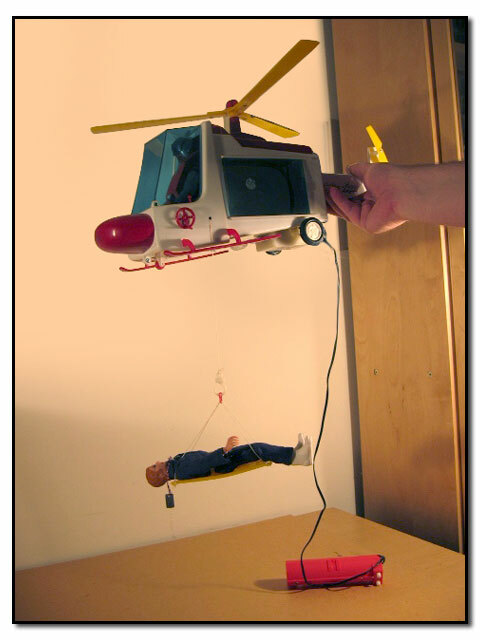 Hand operated winch and rescue litter. 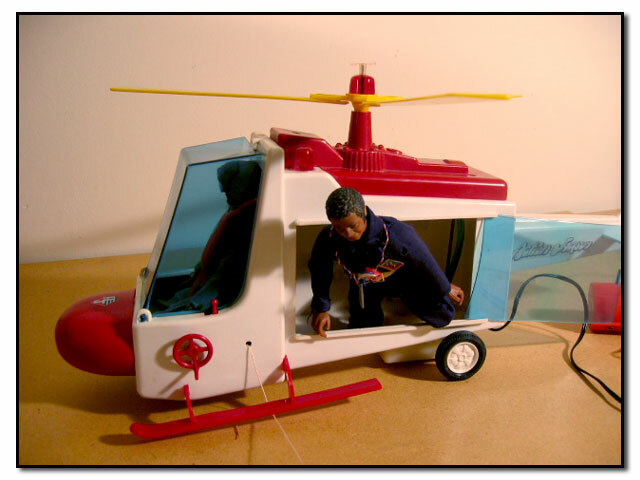 A great toy all around. panel is a nice feature. 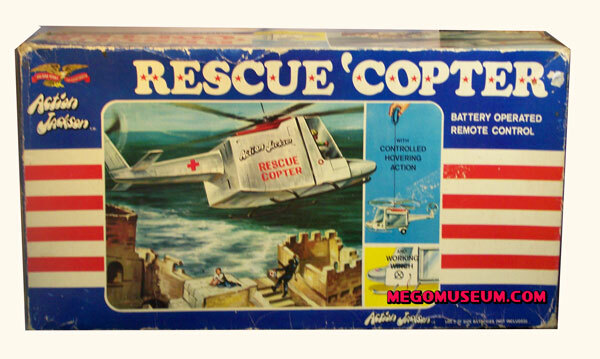 Boxed Rescue Copter doesn’t feature the Mego logo on the front. picture seems to suggest a roomier compartment than exists.